What made you decide to start your retreat in Majorca? The retreat has been a goal of mine for over ten years. Firstly, I want to reach as many people as possible. We have been offering residential retreats in our home for the past few years and helping people not only lose weight but also turn their lives around when it comes to health and fitness goals. I wanted to help more people and an island in the sun is much more appealing than rainy Cheshire! Secondly, I myself have visited so many retreats all over the world. Whilst the weight loss and rejuvenation was impressive, it was never permanent and once home, I quickly slipped back into my old negative thinking and eating habits and the weight crept back on (plus a bit more). I wanted to design a programme that not only helped people lose weight and break negative eating and thinking habits, but most importantly helped them to create new long term habits that educated and empowered them, developing long term coping strategies. And that’s what Breakfree is all about ……helping you Breakfree from the old and embrace the new…..it’s very exciting!!!!!! Why did you choose Pollensa? 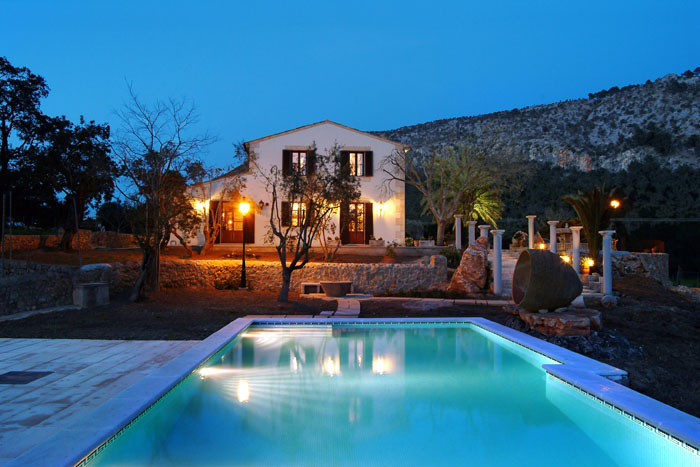 Majorca is also known as ‘The Island of Calm’, a perfect setting for our retreats. Having spent my summer holidays there for the past 34 years, it seemed the perfect choice. Beautiful coastlines, ambient temperatures, stunning scenery, luxurious accommodation and near to home, are just a few more reasons I chose my favourite island. Flights leave daily from most airports and a quick 2 hrs flight makes the journey easy. Our secret location is perfectly equipped to make it an experience to remember. After the release of my book I was contacted daily by people wanting my help, it pushed me to find a solution to help as many people as quickly as possible. What is the philosophy of your retreat? The philosophy of the retreat is that health begins from the inside out. Health is not the absence of diseases. To have perfect health we must find balance, physically, emotionally and spiritually. Do you have any tips for weight loss success and for keeping it off? Stop dieting! Deprivation creates desire. Never deprive yourself! Make time and space for yourself each day! Stop focusing on what you can’t have and instead focus on what you can have! Focus on health and nutrition and weight loss will be a positive side benefit. Be kind to yourself daily, focus on nourishment rather than punishment! The first five days, we juice – to eliminate toxins and cleanse the body on a cellular level. The break from food gives both the mind and body time to heal. Delicious alkalising foods and personalised eating plans are reintroduced on days 5-7. What sort of clients attend your retreats? All types, all ages, male and female. Anyone who cares about their health and well being. Deborah Morgan is the author of best-selling book, ‘Cut The Crap & Find Your Perfect Weight’, which is a non-nonsense, simple approach to easy weight-loss and long-term weight management. Her book has helped thousands of people not only lose weight but most importantly, find inner peace and acceptance. It is priced at £12 and is sold on Amazon. Breakfree Retreats start from £1,395 per person for 7 nights. The first breaks take place from 15th- 22nd September and from 22nd–29th September 2012 and continue throughout. For further information and to book, please visit www.breakfreeretreats.com or call 0845 330 1367 or 07809 730000. This entry was posted in Wellbeing and tagged Alkaline foods, beauty inside out, Breakfree Retreats, Deborah Morgan, Health, Spa, Time Out. Bookmark the permalink.